Photography has been a part of the real estate industry for a very long time. It’s easier for realtors to convince people to visit homes if those people can see pictures of the property first. However, photography in the real estate world hasn’t remained static. It’s gone through some changes. Read on to learn more about the evolution of real estate photography. In the past, real estate photographers had to be very choosy about the photographs that they took. Because the photos had to be printed, photographers couldn’t just snap as many shots as they wanted to. They had to focus on specific elements of the home. Now, it’s easy to take lots of different photos. It’s also easy to share them. Many real estate listings contain a large number of photographs. Realtors don’t necessarily have to work with professional photographers when shooting a home. It’s possible to snap nice-looking photos with the average smartphone. Realtors don’t have to be stuck with bad photos anymore. If a realtor isn’t happy with one of the pictures that they have, they can edit and enhance it. There are several kinds of software which make the task of photo editing easier. With the right software, you can make nearly any photo look great. If a photo is too dark, editing software will allow you to brighten it up. If a person is standing on the edge of a photo, the software can be used to crop them out. Thanks to editing software, realtors can make use of the images they already have. 3D photography is an important part of the real estate world. 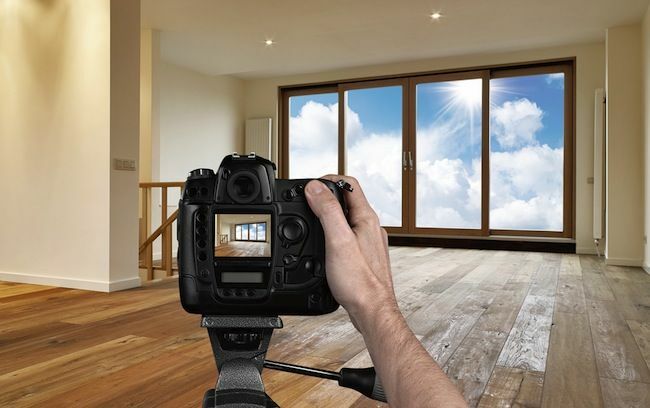 A number of realtors choose to use 3D photography software when they are photographing a home. This allows potential buyers to tour a home without ever setting foot in it. 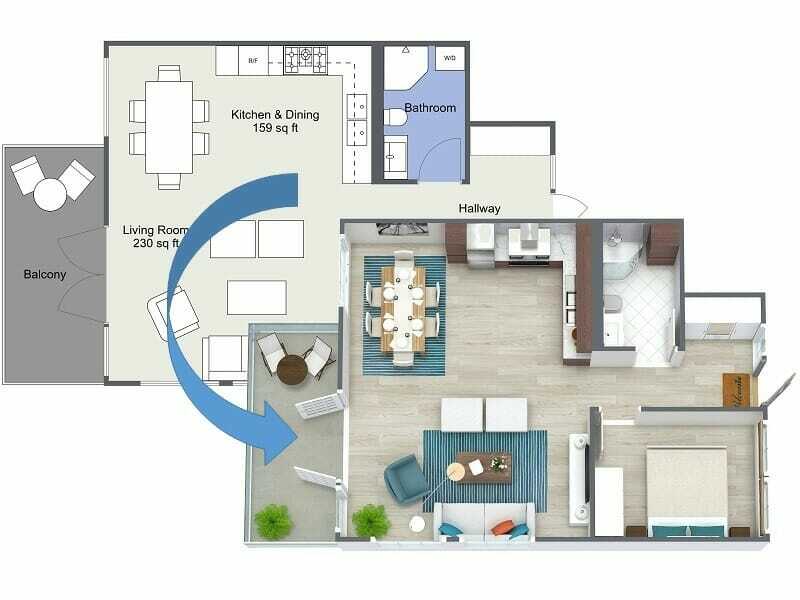 Property Intelligence Media baesd in Sydney shared with us that 3D photography technology is incredible. It allows people to walk through a home from their phone or computer. It’s one of the best ways to capture a home. This technology has helped many real estate agents to sell properties quickly. You’ll see photos almost every time you look at a real estate listing. Now, there is a good chance that you will see video footage of the property as well. As internet speeds have increased, it’s become a lot easier to include video of the property. Photographs are limited in what they can show. The right video can show you more than any photo can. Many realtors are combining video footage with photographs. This is an excellent way for a realtor to show off the property. Photography is an essential component of the real estate industry. As the industry has grown and evolved, the use of photography has changed as well. Today’s Realtors have access to all kinds of technology. They can take impressive photos of the properties that they are trying to sell. A marketing strategy can turn a middling business into a thriving one. It is essential to build the foundations of a great marketing campaign and watch as the results pour in. For those who own a mobile hair salon, it is recommended to start with a comprehensive strategy and work from there. What should the strategy incorporate? Let’s take a look. The one thing you will have to understand is your selling point. You are a “mobile” salon, and that is going to matter significantly. You want to sell this as a major point. You want to be different, and this is the best place to start. Go to Google and set up your business page online. This is going to have your contact information, hours of operation, and all other related details. You want to have this up and accurate as soon as you can. Do not skimp on this. It will help you rank and market the business. Do you have social media accounts set up? Are they integrated with your site? You want to have links to these accounts on your site so people can add you in seconds. You also want to link back to your site on these accounts as often as you can. This is where the lead will convert after all. Whenever you set up these accounts, make sure you are interactive and not letting an empty account sit around. You have to put in the time. Do you have a website? Well, this is a must, but you also have to take the next step forward and optimize it. What does this entail? The goal is to rank for all “hair salon” related keywords for Google. This is where people are going to find your site and business, so making sure it is optimized for search engines. Don’t stick to generic keywords. Find local keywords that are going to be searched by those in the area. 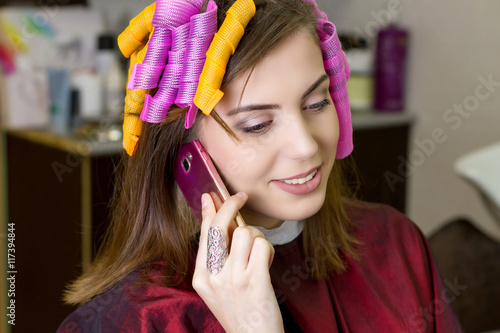 For example, if the mobile hairdresseris in Boston, you want to target keywords such as “Boston hair salon” or “Boston mobile hair salon”. This is when you will cash in on Google and Bing. How do you optimize for these keywords? You have to add them to your content (don’t spam), titles, subtitles, and meta tags. These keywords should be a significant part of your strategy as long as they are well-researched. You want to start by incorporating all of these tips as soon as you can. This is the best way to push your mobile hair salon to the top of the market. July 27, 2016 by Betty Baker·Comments Off on Your Photography Business Needs SEO Or SEM ? If you’re looking for ways to promote your photography business online, then you’ve probably encountered the terms SEO and SEM numerous times. But do you actually understand what they mean and how they differ? Plenty of marketers mistakenly use these two interchangeably. It’s essential to determine what SEO, or search engine optimization, and SEM, or search engine marketing, really are in order to make the best use of your marketing dollars. In this resource, you’ll learn the SEO & SEM difference and how to use both to form a cohesive online marketing strategy. The very first thing you should understand is that both SEO and SEM have the same objective: to bring more targeted traffic to your photography website. However, they try to achieve this goal in different ways. Search engine optimization is a process of slowly improving your website’s organic rankings through unpaid efforts. On the other hand, search engine marketing focuses on using paid online advertisements to enhance visibility. While you may stumble upon countless posts that talk about SEO vs. SEM, do not forget that they can be incorporated into your overall marketing strategy to maximize online exposure. Search engine optimization has become a must in order to succeed in today’s competitive business landscape. This is because a great number of online transactions begin with the use of a search engine. What’s more, consumers tend to read reviews or check a company’s online reputation before proceeding with their purchase. If you do not appear for search terms with high commercial intent, then your competitors are probably getting a greater share of your target market. When people talk about search engine marketing, what they usually mean is setting up a PPC campaign. Creating pay-per-click ads offer plenty of benefits, especially if you bid on the right keywords. You might think that you don’t stand a chance against other bidders with larger marketing budgets. But Google and other advertising platforms usually have a way of giving marketers with lower budgets a chance to appear for their desired keywords. For instance, boosting your ad’s quality score increases your chances of winning Google’s ad auction. You have to evaluate cost vs benefit for your online photography portfolio. As mentioned earlier, SEO and SEM can both be used to maximize the visibility of your website. SEO is often considered more cost-effective because once you manage to achieve high organic rankings, you can enjoy more targeted traffic over the long term. You can easily find an SEO agency like Broadcast SEO to work with your needs. SEM is more expensive since you need to bid on keywords. But what’s great about SEM is that it can bring targeted traffic more quickly compared to SEO. This proves very helpful for new websites. Finding the appropriate balance between the two and knowing where to allocate your business resources are essential in producing the best results for your business. Now that you know the SEO & SEM difference, it’s time to set up a comprehensive approach that utilizes both techniques. Each comes with its own advantages and disadvantages, but the goal remains the same. By learning how to allocate your resources efficiently, you can surely use both these online marketing techniques to improve online exposure; increase targeted traffic and boost conversions. Internet Marketing can be an excellent means to make a significant income. But if you don’t understand the best way to achieve success at online marketing, you may be passing up an income that is even larger. What you’re going to read in the subsequent post will assist you to have a successful career in the online marketing area. You should examine it, to ensure you are using the correct products or offers. Try it yourself, and have it attempt also. Search for opinions and genuine reviews. You might have different needs and should remember your customers are people. Keep your content endless. No one loves seeing with a website when the info is not new, and the links are broken or outdated. Ensure that you supply your old content with upkeep, along with, always supplying content that is new. New visitors will often search out the tips that are older to get a sense of your website, and you do not need them to be disappointed! The look may play an even larger part in your success as significant as the content in your site is. Many visitors may simply back out of your site and proceed to an alternative site, should you not take the time to design a website format that’s inviting and pleasing to the eye. In case you are going to use microblogging to enlarge the internet presence of your company, locate a unique equilibrium in some postings. You should be incredibly reliable when describing your product. Most folks can see through ad discussion that is typical. Talk about the edges of its limit, but also the merchandise. Buying one’s films and video games from shops that resell games that are used or formerly owned DVDs one can save a great sum from the price of a brand new one of whatever thing. Go viral with your photography website. Do something that folks will need to share with their buddies. Even something as little as a far-out video or an interesting symbol can work. You can bet your site visits and net sales will pick up if everyone is buzzing about something you have done. As was said at the beginning of the post, an individual can make a substantial income by online marketing. Use the guidance that was supplied in the preceding post to you, and you may be astounded by the cash you’ll be able to make.